Posted on Sep 21, 02:04 PM in Kids and Young People and Well Being. No comments. I was looking at some nutrition papers for any new information to share and found a study on pistachios. The study was interesting but to be honest, I was a little less interested in the study than I was in thinking about my strong food memories of pistachios when I was first introduced to them as a child. I think I must have been around ten and my parents brought a large bag of the lovely little green and purple tinged delights back from a trip to Canada. At this stage, none of us had ever heard of them and they were new, exciting and delicious. I have never forgotten that and still think of that first time whenever I start cracking open those little shells. I think most of us probably have some very strong food memories. I have other food memories around watermelon eaten in the summer and my first taste of real butter. I also remember the unfortunate incident when, as a child of around 5, I mistook an oxo/stock cube for a piece of chocolate which I thought had been hidden in the pantry. Imagine my disappointment when I opened that silver paper and popped that little cube into my mouth! Eeurgh! Food memories can remind us of so many things. These memories can be of a first taste, a special event, bad experiences and can be related to people, places or moments. 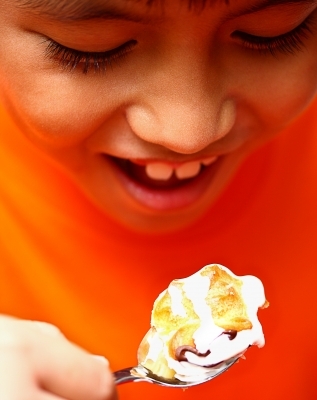 Food memories can also have a huge impact on food choices in later life. What foods do we seek for “comfort”? Usually those foods we relate to good memories. What can cause food aversions in adults? A large percentage of people who have had a bad experience with a food have never tried that food again. Memories and emotions related to foods used by parents as rewards have also been associated with unhealthy adult eating behaviours like restrictive eating and bingeing. Sometimes we need to unlock our past with food in order to build a better relationship with it for the future. It’s so important to build positive food memories and attitudes for our children. What you are putting on the table today may just have a lasting impact. Something to think about! I would love to hear about your food memories! Please comment and let me know. FODMAPs - why go it alone?